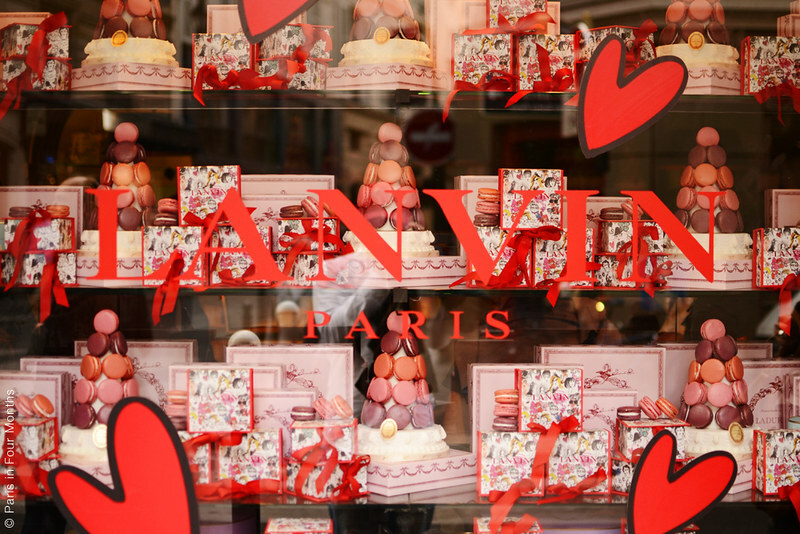 Amazing Lanvin has taken over the Ladurée windows in Paris due to their latest collaboration. I couldn't think of a better match! And during one day (when I happened to be there) you could buy their special edition box, filled with yummy little treats. Who could pass on that opportunity? 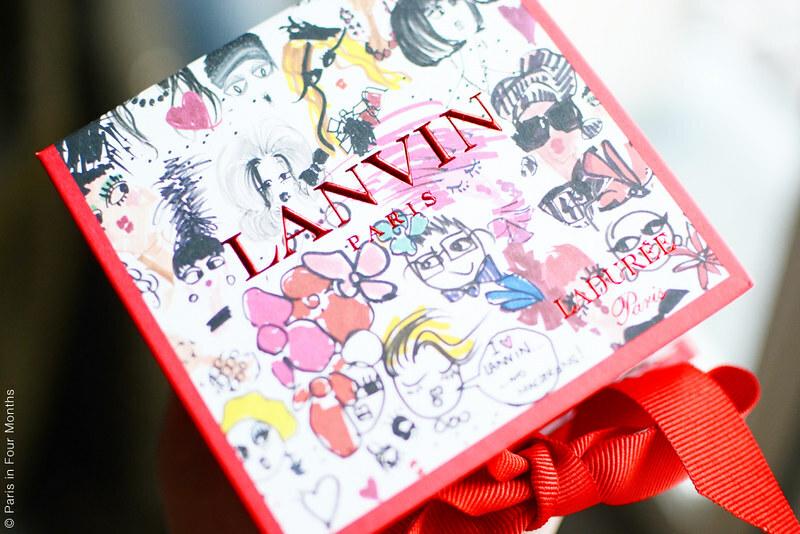 Alber Elbaz chose three flavours himself that came with the box and the rest of the choices you made yourself. 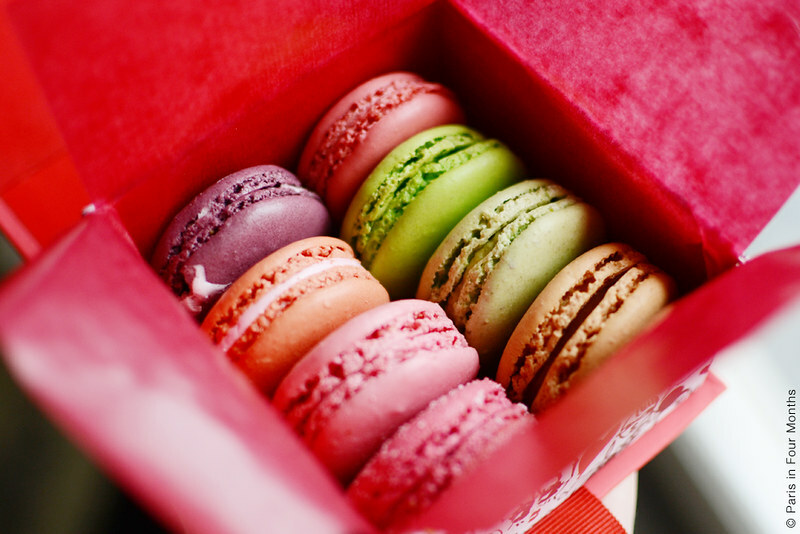 The flavours that Alber picked for the box were macarons with the taste of "bubblegum" and to those I added the flavours: pistach, pomme verte, framboise, fraise bonbon and caramel. Although Ladurée doesn't have the best macarons, they do have the prettiest boxes.